86 8 716 140 208 0 / 173 091 24SBi Burner Injector NG Stereomatic, type 7, 4.5mm dia. 8 716 140 209 0 / E00 741 24SBi Burner Injector LPG Stereomatic, type 7, 2.78mm dia. 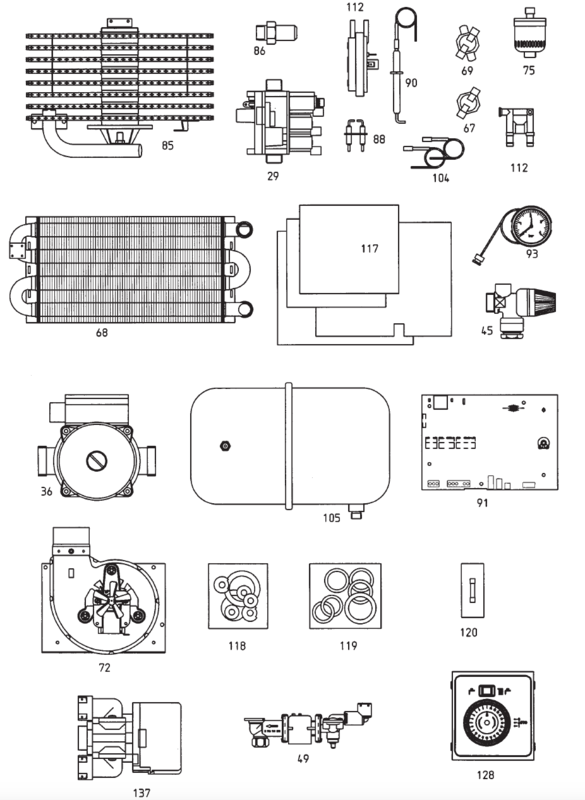 Your Worcester Bosch 24SBi boiler parts table and diagram will aid you in finding your perished parts.